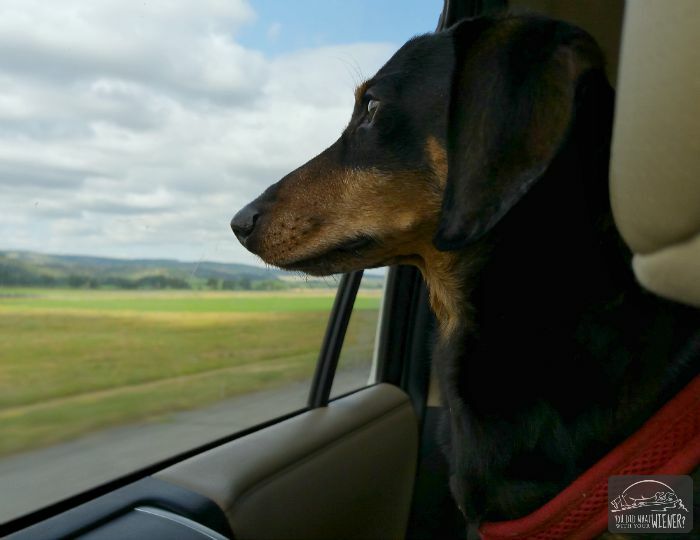 A few weeks ago we embarked on a 10-day road trip to Colorado with Chester and Gretel. Our ultimate goal was to spend a couple of days in Leadville, CO and hike Mt. Elbert – the highest 14er in Colorado. But first we had to get there. We set off with a general plan but tried to keep it spontaneous. The unknown adventure is one of the best parts about a road trip. We headed east from Seattle to Billings, MT. Going through Billings was not the shortest route to Colorado but I hoped to visit and old friend in there. We camped in the car at a rest stop the first night. Sadly, the plans to have breakfast with my friend didn’t work out so we headed south through Wyoming. It was the first time I had seen the eastern part of the state in daylight. The other two times I passed through, it was at night. We arrived in Fort Collins early in the evening and checked into the dog-friendly La Quinta Inn. 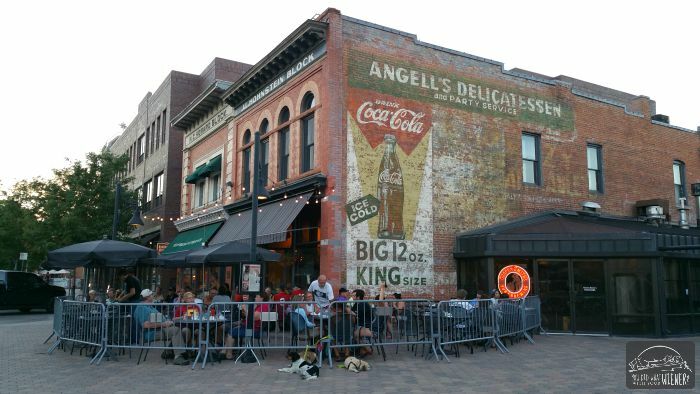 Somewhere I had gotten the impression that Fort Collins was a really dog friendly town. While we saw many dogs n the streets, I was a bit surprised by the lack of dog friendly restaurants. 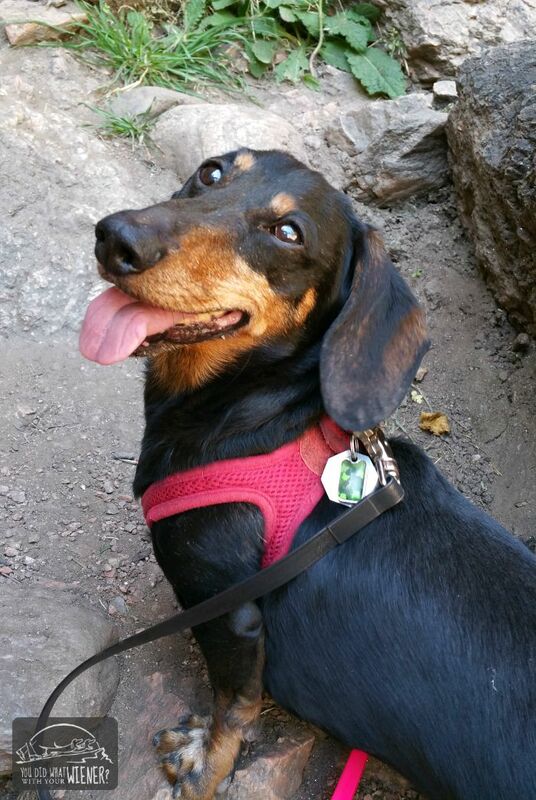 Besides drive-thrus that are, by nature, always dog friendly but something generic that can be found in almost any town, my favorite websites for planning a dog friendly vacation failed us. They only listed one or two dog friendly restaurants for Fort Collins and none of them sounded like a fun place we wanted to eat at. I scoured the internet and discovered CooperSmith’s Pub in historic downtown. Like most dog friendly restaurants, dogs were only allowed on the patio outside of the fence. I knew we would have a bit of an issue because Chester and Gretel always want to be right next to us and are small enough to sneak through or under the fence. The host that sat us said they were not super strict about the “other side of the fence rule” but, when Chester and Gretel snuck in, the waitress came over and asked us to please keep them on the outside of the fence. I made an attempt to keep them on the other side but, well, Doxies have a mind of their own. She didn’t say anything to us again though. We liked the vibe of the place and the food was good. After eating, we wandered downtown a bit. There were a few streets that had fun little boutiques. Of course, no town-stop is complete without a trip to the local, independent pet store. Before leaving Fort Collins, we took a short hike up to Horsetooth Falls in the morning. It was more like Horsetooth trickle this time of year but it was still pretty. By late afternoon, the sun was already beating down on us. 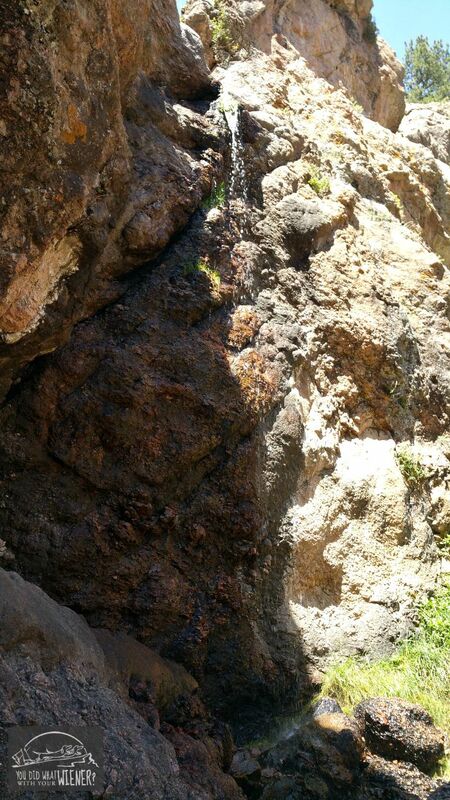 That made for a hot hike. There was a nice cool, shady spot at the falls though for all of us to enjoy. After our hike, we headed to Denver to meet up with Lara from the blog Rubicon Days. I always love traveling and meeting other bloggers. Unfortunately, we didn’t get to meet the small, spunky Ruby because she is anxious in crowds but we got to meet Boca. We grabbed a pizza at a downtown food truck and headed to the park to eat… where we discovered some strange “art”. Lara didn’t know what it was actually supposed to represent but hubby and I speculated a pile of intestines? Ha, ha. I guess that is part of what makes art, art. It always keeps you guessing and different people see different things. After Denver, we were off to southwest Colorado. Also Check out Part II – Denver to Salida, Part III – Aspen & Leadville and Part IV – Mt. Elbert. that is so cool that you got to hook up with Lara. That picture of Gretel in the car is priceless! I love it! Yay that you got to meet another blogger! That’s always fun. That is part of why I love BlogPaws so much but it’s almost better when the meeting is totally spontaneous. Wow! Great scenery and fun stops! 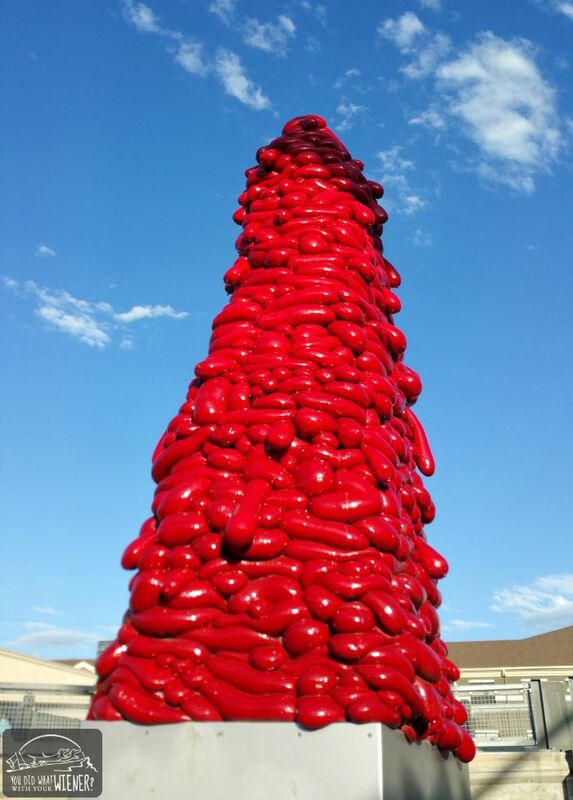 Looks like a pile of kidney beans to us! Weird! Eating out with dogs is just plain weird in so many places, as if that “fence” made any real difference! Exactly! I know Chester was trying to spit in my food from outside of the fence 🙂 I know it has to do with Health Department laws and dogs not being allowed “inside” a restaurant. If there is a fence in between them, they are not in the restaurant in the law’s eyes apparently. Thanks. My hubby mentioned New Belgium was in town but we didn’t have time to check it out. We LOVE LaQuinta its where we always stay. We just don’t get the “outside the fence” rule, I mean really what difference does it make? I would never stay outside the fence that’s for sure. I can’t wait to read more about your trip. It’s so fun to meet other blog pals too. Sure wish I could come to Seattle! 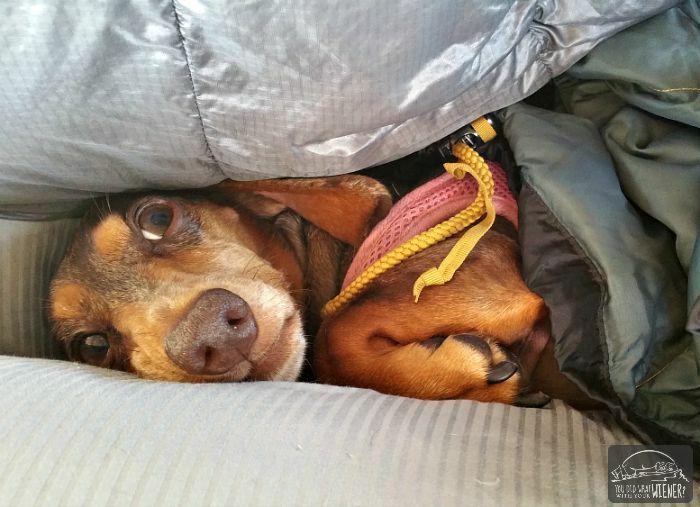 Love Dolly Pees: Grandma can’t believe you camped at a rest area and got away with ti. Sleeping at rest stops is allowed at most I have been to – primarily in the west. I’ve encountered a couple over the years that only allowed you to stay for 6 hours at a time though. I either only stayed for 6 hours before hitting the road again or left and slept at the one on the other side of the highway for a bit. I think the ones that only allowed a 6 hour stay were outside of big cities. The most interesting experience was in Florida. That rest stop had an armed guard patrolling all night. I didn’t see any signs prohibiting camping so I asked him. He said, “no, you can stay as long as you want. I’ll be looking out for you”. Scary that they needed an armed security guard there I guess but I felt totally safe with him around. I’ve never been to Colorado, but would like to take a road trip there some day. Since Tim and Hank are included on most road trips, the tips are helpful. I’m disappointed that Ft. Collins isn’t all that dog friendly. I hate when restaurants make the dogs sit outside the fence – so ridiculous! It’s so nice that you were able to hook up with a fellow BlogPaws-er on your travels. We do have several food establishments here in Seattle that actually let you bring your dogs inside. I know a few can get away with it because of the classification and where their kitchen is located (maybe a bar with the kitchen inside the restaurant part). I know for sure that one, Norm’s, is famous for a being the first place here that you could sit inside and eat with your dog. Rumor is that Norm’s gets around the law by just paying the fine up front every year. It’s expensive but they make way more in profit from with-dog patrons so it’s worth it to them. I am not sure how some of the others do it. 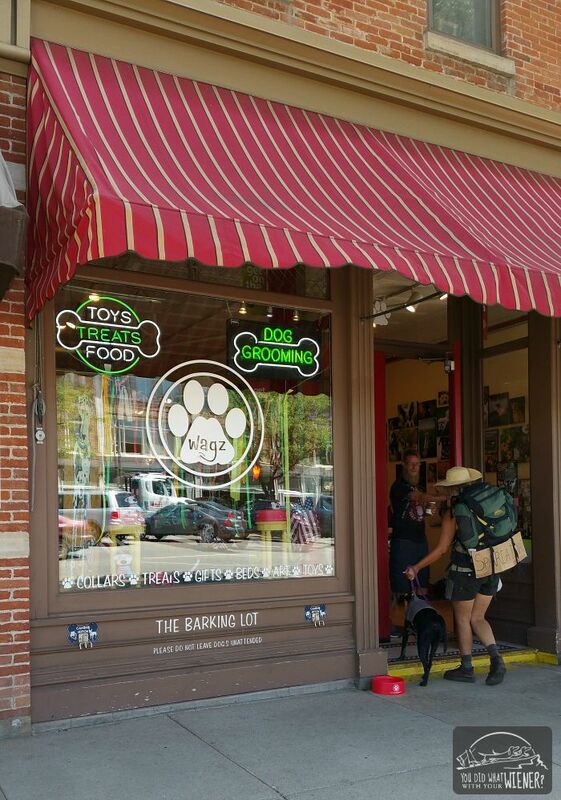 It’s interesting how the definition of “dog friendly” varies widely from place to place. It’s hard to know what that means anymore. Some get a dog-friendly designation only by the number of off-leash dog parks. However, when I hear dog friendly, I think of shopping or eating out with my dog.